Back Up Email Data Using Exchange Server? In your organization, have you and all your colleagues been told to take email backups frequently using Exchange Server 2007?. This activity of taking email backups is really very crucial so as to safeguard crucial email info of all users and protect that important information from getting totally lost in case some corruption issue destroys original email files.Also, normal Windows backup does not suit the organizational need where shutting the Server down to take the backup is totally out of the question. 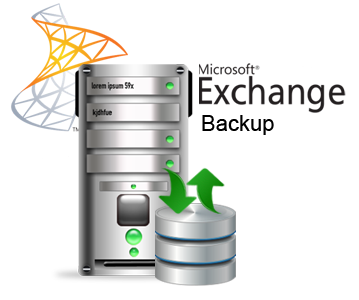 Using Exchange Server for email backups is therefore preferred as it can backup data even when the Server is running. Microsoft Exchange Backup BKF Files Corrupted? No matter how safe you go by taking backups of your email data, data damage can still occur as Exchange BKF files are also subject to corruption. Have you Exchange BKF files damaged due to such corruption issue? Are you now in search for an Exchange backup recovery tool to restore Exchange backup database 2007 contents?. Using a third-party Exchange backup repair utility would serve your purpose to recover Exchange backup in an apt manner as it is a professional way of confronting the issue. One such tool to restore damaged Exchange backup BKF files is Exchange BKF Recovery software. It is a simple and intuitive Exchange backup recovery tool that you can easily and effortlessly use. Using this tool, you can restore Exchange backup archive file also. Demo Version strong> Exchange BKF Recovery software is exchange backup repair utility, preview the recovered data but you cannot save the recovered items to your system as the file saving option is restricted in the Demo Version. Business License has product update for 1 year only not for lifetime.